Dmeco EngineeringNewsDmeco Engeniering will represent Italy at Energy for Power life London. The Apulian company Dmeco Engineering, specialized in soundproofing containers for industrial generators, will represent the Italian excellence in this industrial sector at the International Convention Energy4PowerLive, to be held next November 15 in London. Dmeco Engineering will be the only Apulian company to participate, as exhibitor, to this important meeting organized by Global Media Publishing with the intention of bringing together the most important international and independent company from the energy sector. 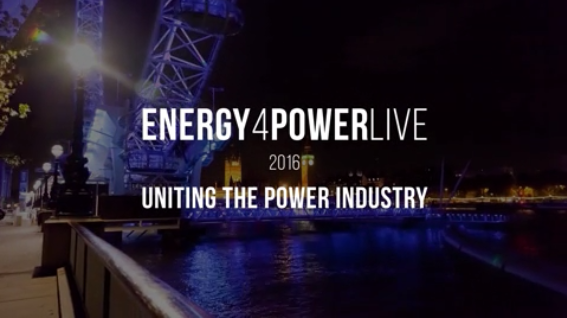 Now in its third edition, Energy4PowerLive is one of the most important events for international networking in the energy field. Last year there was the participation of more than 50 top speakers, including Alan Whitehead, Labour Member of Parliament known for his political commitment for Renewable Energy, as well as English shadow Minister for Energy and Climate Change. Dmeco Engineering takes part in this convention proudly representing Italy and Puglia, a region always at the forefront in the use of alternative energies. Dmeco participation is an opportunity for the entire region to forge relationships and commercial agreements with important international reality in the energy field. The Dmeco Engineering srl is the Apulian Company leader in the production of containers for soundproofing related to generators and industrial pumps. As a direct result of significant investments in development, research and quality, Dmeco is able to offer a wide range of sound insulation solutions, fully customizable according to customer requirements. 2014 was the best year for DMECO, that in the last 10 years has recorded an increase in its turnover by 350%. Market indicators also show a slight increase for 2016-2017.